My son and I have a very established morning routine. I wake up, get ready for the day and then I spend some time doing whatever needs to be done that morning. Somewhere around an hour later he wakes up, gets dressed and comes downstairs. He then greets me with a hug and tells me all about the dreams he had that night. Quite often those dreams are about Kindergarten (he started this year! ), his sister, the dog, Minecraft, Pokemon and whatever happened to be new and exciting the day before. I had seen the posts and the new trailer earlier this week but I didn’t feel that there was much more to be said beyond what I had already said in previous posts. After showing my son the trailer this morning I was told in no uncertain terms that I had to keep my son updated and buy the Minecraft: Story Mode immediately upon its becoming available. In order to keep my promise to him I checked in to see if anything new had come to light beyond the trailer. There’s not much we don’t already know since Telltale Games and Mojang have both been pretty forthcoming with the facts, but I am sure more will come out once the game is actually released. 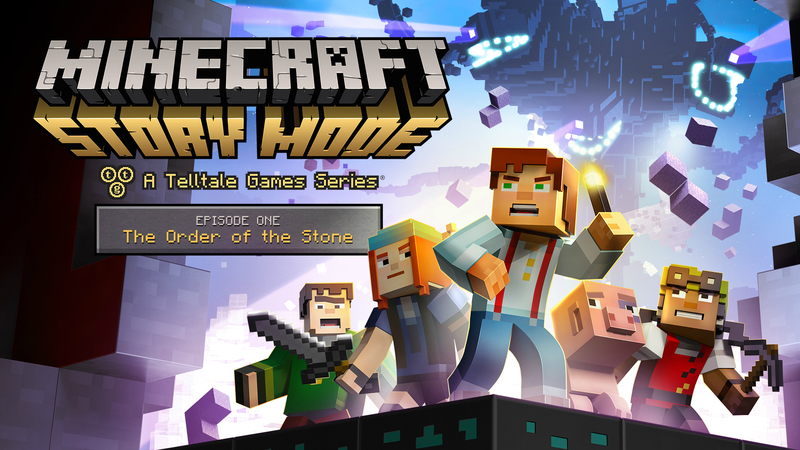 In the meantime we know that Minecraft: Story Mode will consist of five separate “episodes” (think of them as expansions) that lead the title character, Jesse, through his/her quest to save the world from some unknown danger that threatens to destroy the world. The game will be available in digital form on October 13th to most major platforms, it will be available on mobile devices on October 15th and then available in retail stores on the 27th. You can watch the new trailer below and get even more excited for the games release. You can thank my son later.